You probably hadn't notice my absence thanks to the impressive room redo guest posts (Thanks so much to Jennifer Rebecca, Rebekah, Jessica for generously sharing their talents with me.) but we were out of town. This time we traveled back to the far east for our first visit to mainland China. Our trip had us stopping for a few days in three big Chinese cities - Beijing, Xian and Shanghai. I definitely had certain expectations of China - most of which were completely disproved during our trip. In case you are wondering, the internet censorship issue is very much real. No blog access, no facebook, no twitter. So I suppose I can safely assume no one in China is reading this. But forget that, its on to the photos! Let's start with the first leg. We only had a few days in the city so had to hit the major sights. I was fascinated by the young guards stationed everywhere. The crowds were kind of insane everywhere we went. We were often the only Western tourists even at these huge iconic spots. There was a lot of pushing and crowding which was not a highlight for me. But there were so many things to see it was worth braving the masses. As you can tell, we got really lucky with the weather in Beijing. It was beautiful blue skies everyday. It made for a much better stay since most of the sights are outdoors. Overall, China was not what I expected at all. I assumed being closed off to Western culture for so long would give Beijing a distinctly different air than anyplace I had ever been. Not really. Of course it was different as every location is but not radically so. I expected to be overwelmed by culture shock. Not so. The food was delicious and something we appreciated even with our american palette. The people were warm and friendly. On the negative side, it was a bit too westernized - there are almost as many Starbucks and McDonalds here than at home; there was little trace of the 'old' china in this or any of our stops. There were plenty of ancient relics preserved but I was hoping to see something more of the modern history of China. It was not at all addressed. I suppose that is the price of progress but it's a little bit sad to see the whole world becoming so similar. We had just three days so we only scratched the surface here. We spent most of our time seeing the biggies - Forbidden City? Check. Great Wall? Check. Temple of Heaven? Check. Panda bears at the Zoo? Check. How can you go to China and not visit these? But in our free moments we tried to soak in as much of the modern city as we could as well. I couldn't get over the people who broke out into spontaneous line dancing in the parks! All too soon we had to pack it up and jump on a quick flight from Beijing to Xian. More about that in aother post. I went on a similar trip in 2006. The mere number of people was the thing that stood out to me. I don't know all of China's natural resources or what they are most proud of, but I think it should be their people. It is a beautiful country. The wall was my favorite part. I cannot wait to hear about the rest of your trip! I love how you sum up a trip without making it seem like a book report. If you were told you would only be allowed to travel to places you'd already been, which ones would you choose to visit? I am not asking you to choose favorites, I'm just wondering what locations left you wanting to see more or had something so amazing you have to see it again. A colleague who goes to China every year always marvels at the size of the population and about the diversity of the people due to the sheer size of the country. He says that many never leave China for vacations...they can see dramatically different places right at "home". Pretty amazing. It's so unfortunate that western companies are pushing into every nook and cranny they can find. I also would have thought that would have been a little more regulated in China. Never A Plain Jane: To answer your question there are few places I wouldn't love to return to. I rarely get to spend more than a few days anywhere and that is never enough to have seen it all. Even I stayed for months there is more to see. But if you want a list of places that jump to mind, I'll give that a go. London and Paris are probably the top of the list - I could live in either of those cities so there is such a long list of things I missed. As for wanting to have the same trip all over again, South Africa would win that one. AMAZING experience there. Yet another AMAZING trip! That pic of the Great Wall with the landscape in the background is incredible! I can't wait to hear about the next stops on your trip (and can't believe how many awesome places you get to go!!!). wow! every time i see guest posts i know you're gone somewhere that i want to go to and can't wait for you get back to blog it with your great pictures and opinions. great as usual. interesting to read your perspective - can't wait for more! Beautiful photos! Interesting to know from someone first hand about the internet restrictions. Can you imagine being cut off that way for good? Your pictures are so beautiful! I love seeing the world that I can't travel through your camera! Your pics are such a beautiful travelogue! Thanks for the (cheap/free) trip to China! You two take the best trips - love all the photos! I am amazed, not only by your gorgeous pictures and anecdotes - but at the amount of time you have to travel! I find one of the most difficult things is trying to find a week, or at least a few days to take off work and schedule a trip. Do you have the opportunity to travel for work and tag on a few days, or do you actually get a lot of vacation time? I only get 2 weeks vacation - and even then dont always take the full 2 weeks. Amy: I get 4 weeks vacation/personal leave a year so I try to maximize the time I have by using weekends and holidays whenever I can. (Many of our trip are taken as long weekends) We've traveled a lot in the past year and a half but we didn't do anywhere near this much travel beforehand...we were saving for house things. We both feel its important to see the world so we make it a priority. Of course your absence was noted.  Another whirlwind adventure for the Limestones. So glad you're both safe at home once again. I always love seeing and hearing about the places that y'all visit. I won't ever go there or a lot of places that you have been but it is exciting for me to see what is around the next corner with the Limestones:) Beautiful photos as always. Interesting thoughts on your trip, the world is so quickly becoming shockingly similar. When I first started traveling, as a young kid, it seemed like some places took you to another planet the differences were so marked. Now...I've also gone half way around the world only to look up and see a Nine West Store and Starbucks. Wow. I've been following you for a while and I really admire that you make travel such a priority. You're a great inspiration! Any tips for making the most efficient use of your time on short trips? Beautiful photos, of course! My BFF went to China a few years ago and had an amazing experience. I'm so impressed by how many vacations you've had this year already! Being grounded due to work budget cuts and pregnancy has been a bummer the past year, so it's been great to live vicariously through your adventures. Thank you for having me while you were away. Your photos blow me away each time you post! I too, am envious of the amount of traveling you do! i really enjoyed ur trip.try to come in Dubai for a change. I just found your amazing blog! I just wanted to say the first time I was in China was 1998, and at the time the culture was overwhelming. The last time we were there was Sept 2013 and the difference is night and day. If you had traveled to the rural areas you probably would have been overwhelmed though! The next time you go, and you probably will be back, insist the guide take you to a "rural" village. For example, the villagers were proud of the fact that the village owned a donkey!